When Alex Winter announced his plans for a Frank Zappa documentary, he did so with full approval of the Zappa Family Trust. The latest development on Winter’s film has just revealed the extent to which the family supports the project—they’re prepared to put his Hollywood mansion up for sale. Winter has just launched a Kickstarter to crowdfund not just his documentary, Who The F*@& Is Frank Zappa?, but also preserve the iconic musician’s archives. The Kickstarter campaign has a minimum goal of $500,000, which is enough to begin producing the “definitive documentary” of the prolific performer. Winter has access to Zappa’s archives, a.k.a The Vault, but he’ll need $2 million to complete the documentary. 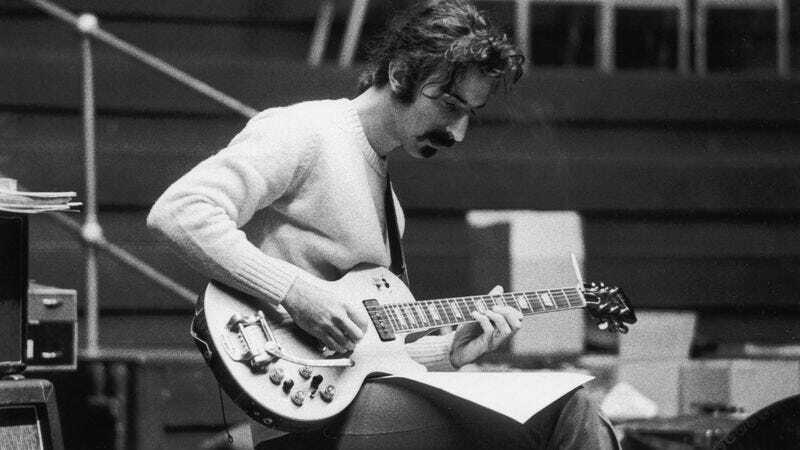 Backers can pledge $10-$25,000 to get rewards like digital access to said Vault, a download of the documentary, T-shirts, unique memorabilia, and even a private (filmed) recording session using one of Zappa’s guitars. But there’s a singular reward for the admittedly rare Zappa aficionado with $9 million to contribute to a Kickstarter: The deed to his 8,000-square-foot home, which includes the Utility Muffin Research Kitchen, though not any of the Vault’s contents. The multimillion-dollar pledge can’t be submitted via Kickstarter, so the battle of the ultimate Zappa fans will take place on eBay. The house is described as being in “absurd condition,” which presumably means it’s been well cared for, and not that the plumbing has been replaced with organ pipes. In addition to shooting the film and preserving the Vault, Winter also intends to share some previously unreleased “audio recordings, video footage, and visual materials” from Zappa’s archives. This all sounds sufficiently excellent.